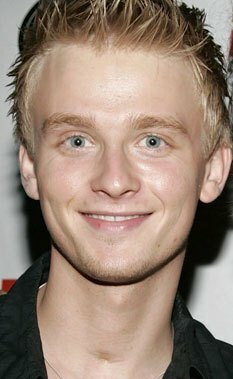 Anthony Fedorov is an American singer and actor who was the fourth-place finalist on the fourth season of the reality television series American Idol. He was the lead singer for the Chicago band 7th Heaven. Born Anatoliy Vladimirovich Fedorov on May 4, 1985 in Yalta, Ukrainian SSR, Soviet Union, to parents Natalia and Vladimir Fedorov, he moved to the United States in 1994 with his parents, and his older brother Denis. Following graduation from Neshaminy High School in 2003, he attended Bucks County Community College. He has been married to actress Jennifer Paz since 2012. Together they have one son, Julian Paz Fedorov. *He was born on May 4, 1985 in Yalta, Crimean Oblast, Ukrainian SSR, USSR [now Crimea, Ukraine]. *He had a tracheotomy as a toddler due to a birth defect in his windpipe. *His family moved the US in 1994. *His brother, Denis, died in September 2006 from cancer. *He gained fame as the fourth-place finalist of Season 4 on American Idol. *He can play the piano and guitar. *He speaks Russian and English fluently.